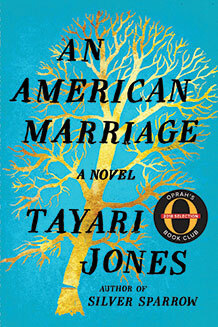 I finished reading both An American Marriage, a decidedly sad tale, and Less, an uplifting tale of love and highly recommend both books. 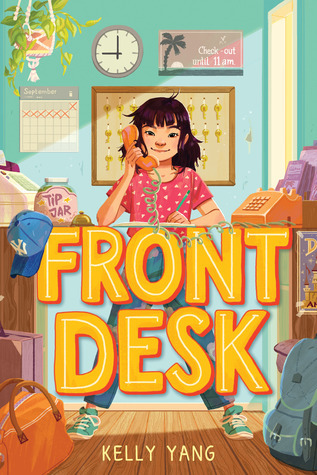 I'm now reading Front Desk by Kelly Yang, which won the ALA Asian/Pacific Award this year. These week I made Khichdi which a friend posted on IG referring to it as comfort food. Mashed potatoes with a slice of real butter melting on the top has been my comfort food for years. I can picture it in the large bowl my grandmother brought to the table for many family meals. I can smell it; the creamy yellow potatoes mixing with the soft butter on top. 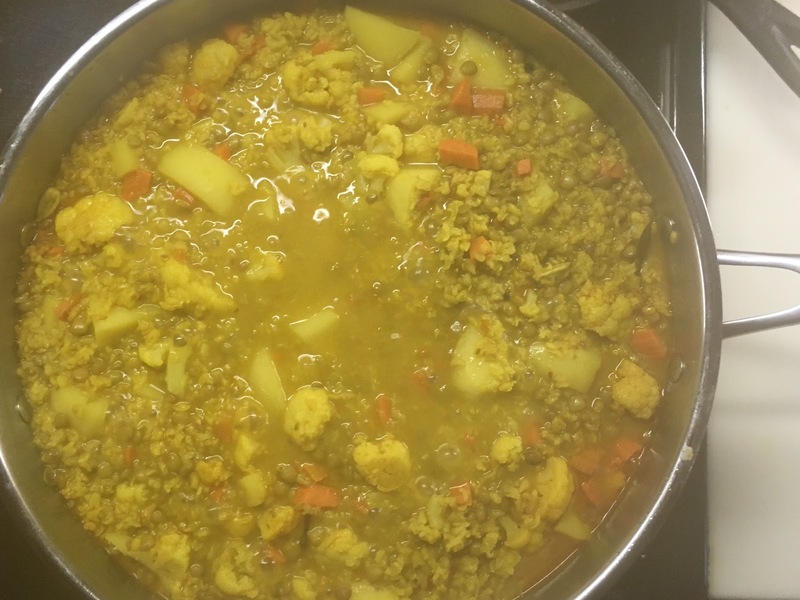 Comfort food means different smells and feelings to everyone and I thought this lentil dish was definitely worth trying. All the spices made my kitchen smell amazing, maybe the comfort starts in the making, as I took lots of deep healing breaths while chopping and stirring. When it was finished we soaked it up with toasted naan and cleaned our bowls. It was a perfect dish for a freezing evening. Last Sunday I made a tomato soup recipe I'd ripped from a food magazine. It was a very easy recipe to put together and it was delicious. Tomato soup pairs perfectly with grilled cheese and I used white cheddar with some yummy sourdough to fry up in my cast iron skillet. They were a perfect gooey mess to dip into the creamy soup. Here is the recipe for yourself. 1. Add olive oil to large saucepan over medium heat. Add onions, garlic, chopped red peppers and tomatoes and sauté until tender. Stir in tomato paste and then add vegetable broth. Bring to a boil and then reduce heat . 2. Allow the soup to cool just a tad and then add in batches to a blender or use an immersion blender. Blend until smooth and creamy. 3. Ladle into bowls and add Parmesan shavings, fresh cut basil leaves, and freshly ground pepper to top. The red peppers added an excellent flavor to the soup. Also I didn't have 4 fresh tomatoes on hand but I did have a Mason jar of tomato sauce from this summer so I substituted that which worked fine. I even think you could substitute a good quality can of diced tomatoes for this. Fresh tomatoes in the winter are not as flavorful as the summer so it's a fair switch. Stay warm and drive slow. We are on our 8th snow day. The weather is still chilly here and this morning there were big fat flakes floating down. It looked lovely but I was too bleary-eyed to snap a photo. We made it through the week without one snow day though which will help us in June. We'll see what this week brings with more snow predicted. I made two hearty dishes to keep us all warm and full this week. On Monday I whipped up Minimalist Baker's Rich Red Curry with roasted vegetables. We played with the ingredients and added tofu and regular brown lentils and left out the cabbage. This I will make again - the red curry sauce was delicious and would pair well with many vegetables. I used a mix of broccoli and cauliflower and swapped yellow potatoes for the sweet. We love sweet potatoes here but Groovy Girl does not like them mixed in with other ingredients. 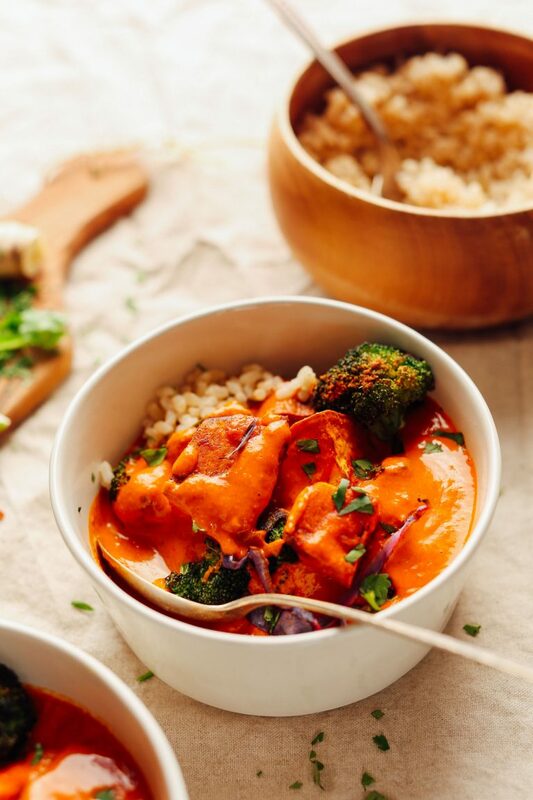 This recipe made enough that we had leftovers for the next few nights and even added it with brown rice into a tortilla for an on-the-go dinner. Yesterday I was craving fish and found some raised-in-the USA cod, fresh in the glass case. It's very difficult to find quality fish-I don't want my fish to come from China-sorry China but you're not known for good fishing practices and I like my food to be a little more local. I already have issues about eating fish and pollution in the ocean and depleting numbers of fish in the ocean and for the most part have stopped buying fish and ordering fish when I'm out just for this reason yet yesterday I guess I was in the mood. I bought $20 worth of nice fat pieces of cod. It was delicious, tender and flaky with a little cracker crust and a lemon squeezed over the top. I loosely followed this recipe. 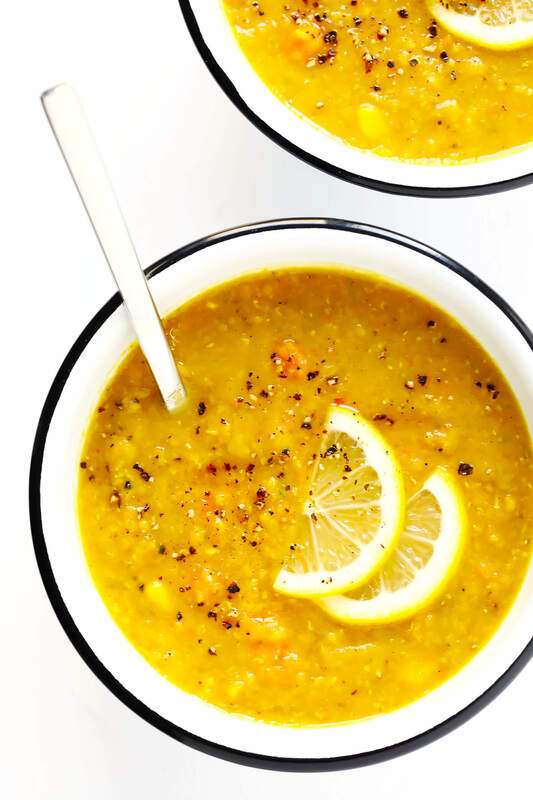 We had baked sweet potatoes with our flaky cod fillets plus I made this lemon lentil soup for an appetizer but we ended up eating all at the same time. I got held up making the soup as I scoured my kitchen for my immersion blender which is missing. I love my Hamilton Beach immersion blender and I'm confused as to where it's gone. Anyway we used the big Ninja blender instead (more parts to clean) and this soup, Lemony Lentil Soup, was fantastic. To match with my two new recipes I also I have two books to share. Cold weather always makes it easier to lay on the sofa and read, except lets be honest, any season has me sitting/laying somewhere and reading. I wouldn't be adverse to springing ahead to some hammock-time soon. 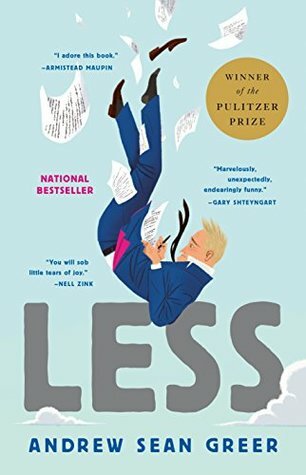 Less by Andrew Sean Greer ( 2017): The comical tale of Arthur Less, an accomplished author, who feels less than all the time. His current lover has left to get married in Sonoma and he takes this opportunity to plan via a few author invites for teaching abroad and odd award ceremonies to get away from his current Bay Area life. What follows is a wonderful travel journey in much the same vein as Kerouac's On the road but with planes instead of cars and gay lovers and wine instead of copious amounts of drugs. This is my first Andrew Sean Greer novel and I'm happy to be introduced. I can't wait to discuss this with my book group. An American Marriage by Tayari Jones (2017): Recently I was able to break away from dance mom week to see If Beale Street Could Talk which is a beautifully done film almost in an old noir style, slow and steady with great acting and a good background jazz beat. This book has a similar story line probably all too common in the racist world we live in. We have to realize this happens far more than we can ever imagine. Celestial and Roy, married for one year, find themselves separated by a prison door after one woman's rapid complaint against Roy who is innocent. Jones' writing is very easy to read and I'll have to go back and read Silver Sparrow. Stay warm where ever you might be. I have friends headed to Mexico today and friends who just came back from a cruise. All I can do is bask in the winter sunshine flowing through the library windows. I made cinnamon rolls for an event yesterday. Insomnia had me up at 5am and I thought "I should get up and make rolls" for the state speech event we volunteered our time at yesterday morning. We didn't get to try the rolls as they were whisked off for the judges' break room and making them was super easy so I plan to whip them up again real soon. Just maybe not at 5am. Last week was a crazy school week; we had school on Friday only. I was pretty lazy and did a lot of reading. Some cleaning (Maria Kondo on Netflix is great motivation) but mostly reading. I have several books to recommend to you. 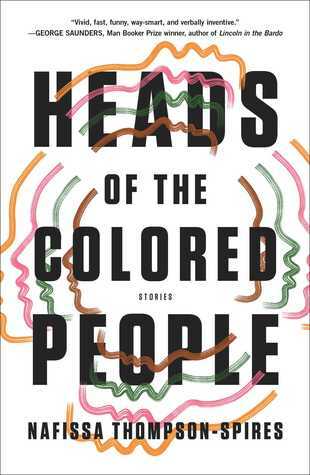 Heads of the colored people by Nafissa Thompson-Spires (2018): Excellent short stories that lifted me and educated me. Nafissa has an amazing array of characters in these 12 well-crafted tales including two mothers who sling insults at each other through notes sent back and forth in the backpacks of their daughters, Marjorie, a woman who tries therapy because of her anger issues, Riley, a young man headed to Comic -Con, a young woman obsessed with men who've become amputees, and a young woman struggling with social media likes and suicidal thoughts. Here's a great article form Electric Lit highlighting these stories and an interview with Thompson-Spires. I enjoyed this book so much I'm going to order my own copy and probably give it as gifts this year. Thank you to Verda for bringing this book (and the next one) to my attention. 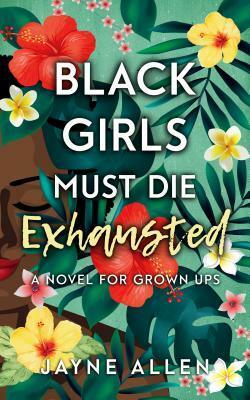 Black Girls must die exhausted; a novel for grown ups by Jayne Allen (2018): "The day I turned 30, I officially departed my childhood. Not the pigtail braids, devil may care, 'don't get your Sunday church clothes dirty' kind of childhood. At 30, I just knew it was the end of the dress rehearsal. I was officially grown." So begins our journey with Tabitha as she navigates relationships with her friends and men, and the growing demands of her television reporter position and what it means to be the only one in the office with "black perspective" as she moves up into a lead position. I felt connected to Tabitha and held her pain throughout the book which most affected me when she argued with her girlfriends and when she was pulled over by the police car. The raw fear of what might happen juxtaposed against what actually happened was mind-boggling for me and for Tabitha. It made it very real and highlighted, even though her experience was pleasant, very easily can go the other way. good cops/bad cops situation. I loved this casual story and look forward to reading the second. So make some cinnamon rolls and cuddle up with a good book as February brings us one month closer to Spring.